Has anyone gone to Club Champion for a fitting? Would like to hear your experience. There are 2 Titleist Premier Fitting locations near me, but both are private clubs and fittings are for members only. I called one and they highly recommended Club Champion. I have not but know a few guys who have and both were fitted with Oban shafts - that seems strange right there. I got a full bag fitting there about four years ago. They are a bit overpriced for both the fitting and also for the clubs. Club Champion is all indoors so you won't be able to see the ball flight, they do use Trackman but if you like to see your actual ball flight it won't be for you. The last couple of fittings I have gone elsewhere (usually at my club that has Trackman and outdoor off of grass). I recently got a putter fitting at Club Champion and it was a great experience. 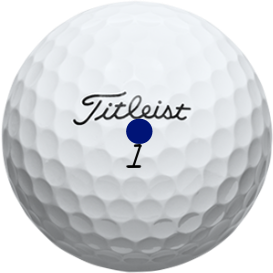 I would ask, though, are there no Titleist Thursday events near you? Those are free and should be open to anyone, regardless of membership. One good thing about Club Champion is that they have or can get virtually any shaft you might be interested in. Bad thing is that is all indoors, which can have its advantages and disadvantages. My understanding is that they guarantee everything with a concierge service, so if you get something and take it to the course and it's not working, you can go back and get refitted. There may be some limitations to that, though. According to the site, there are no events coming up. I am in the St Louis area and went to the location last year for a iron fitting. They offer iron, driver, putter, and wedge fittings. I think they have a package that allows you to the whole bag. The iron fitting was for 2 hours using track man. I wanted to hit a specific iron, but we ended up probably hitting 7 or 8 different models/brands. Once you get the feel you want then they started dialing in shafts, ball flight, etc. 1st class fitting. Now the bad news, the price for the irons will higher than a club golf galaxy and they will talk to you about purring shafts etc. I took my specs and went to Golf Galaxy and had them order the exact same iron with my specs and saved about $400-$500 dollars. I highly recommend them for the fitting. One last thing, I am not sure but I think any warranty on a club for example (irons) is not warranted by the manufacturer because the heads are sent only and Club Champion does all the assembly - double check that if you do buy from CC. They will have every model and shaft that you think of to hit. Hope this helps. I’ve done several fittings with Club Champion as has my dad. One thing to keep in mind is that they fit for all brands, not solely Titleist products. One draw back, at least for me, is that you fit indoor and off of mats. I prefer to test clubs outdoors and off of turf so I can see ball flight and feel turf interaction. Yeah, I know they fit for all brands; one of the reasons I am hesitant. I have played a few different clubs over the years but Titleist has always worked best for me. interested in this as well, I have a fitting coming up at club champion next week. I went to Club Champion for a full bag fitting in January of 2017 at their Willowbrook, IL location and it was an excellent experience. The fitter I dealt with was very knowledgeable, friendly and easy going. 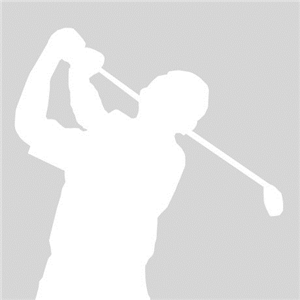 They provided all of the specifications and pricing for the clubs and shafts I was fit into with absolutely no pressure to buy the clubs from them. In fact, there were only marginal gains (less than 5 yds) on my old 913 D3 driver, 913 Fd 3W and 915 Hd hybrids so they recommended I stay with the old clubs since they were already a decent fit for my swing. They also provided a link to all of the TrackMan data from the fitting so I could review it online when I got home. 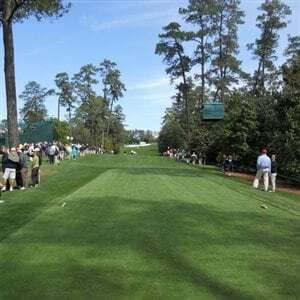 They do a quick interview with you before the fitting starts to get an idea of your strengths and weaknesses as well as what club types and manufacturers that fit your eye and then you hit your current clubs to establish a baseline. Once that’s done they have you start hitting some head and shaft combos to see what works and then between your feedback, the TrackMan numbers and the fitters experience they fine tune a head and shaft combo that best fits your swing. I’m thinking I will be signing up for a driver fitting with them this fall/winter to give the new TS Driver a try once they hit the market. 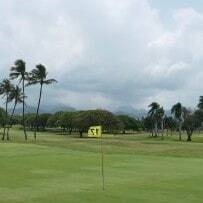 Again, an excellent experience that was also fun, I highly recommended Club Champion. Rick F - Thanks for all of the information; very helpful. I really need a proper fitting for irons, and have never been fit for wedges and need a new sand wedge fairly quickly. All - Thanks for the feedback and comments; all are very helpful. I am still debating. As many of you mentioned, I would prefer to hit outdoors and wondered what people thought of doing it off the mat with a simulator. I just got fit for a driver in st louis, had a great experience with Brett. Hitting the ball 20 yards farther with a Paderson shaft in my 910 D2. Costco has a deal online for club champion for 79.95. I've seen private clubs have special fitting days similar to Titleist Thursdays closed to members. My experiences with 2 private clubs that are Premier fitters is they welcomed the cha-ching for outside fittings. Interesting that those 2 clubs don't do outsiders. A good relationship with the pro can result in a new member, usually another reason to accommodate more fittings. None of my local private clubs exist solely on member recommendations for new members anymore. Club Champion is among the best for fittings done off of mats, but I'm more comfortable using turf and actual ball flight. Yeah, I was really hoping the club I called would do the fitting just to have a few hours there. But the chances of me ever joining would be pretty slim; too pricey. Interesting discussion... My #1 question is always will this lower my scores/handicap. For the majority of golfers, there are just a few important pieces of information needed to get the right specs in a players hands. Drivers and Fairways it is shaft length and flex, launch angle and spin rate. Irons it is shaft flex/weight and lie angle. Wedges lie angle, shaft, gapping and bounce. I personally like to see my ball flight outside using a Pro V before purchasing. I have seen and heard of great results from Club Champion. They seem to have good fitters with a professional approach, listen to their clients, have a huge variety of options, use all the right tools (Trackman), etc. 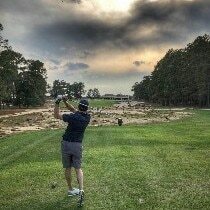 I personally prefer to see an outside ball flight so I never really think of CC as a great option for me. Titleist Thursday continues to be my go-to for fitting. You get all of the above with an outdoor fitting, off grass and with ProV's. It's really tough to beat. If Titleist Thursday's are not an option and cost not an issue, Club Champion is certainly a good fitting option. For me, I feel I could find other more reasonable options for an outdoor fitting no matter which brand of equipment I may want to try. Rich T - I have gone back and forth, but I think I am going to find an outdoor fitting option. I am about to start a new job so Titleist Thursday won't be an option for me for a while. But given I am playing pretty poorly right now, I probably shouldn't be worrying about new clubs anyway.